Veneta Andonova is an Associate Professor of Business at the Universidad de los Andes School of Management, Colombia and the Chair of the research policy committee at the School. Veneta is devoted to the development and adaptation of business strategies in developing countries and those in transition. Professor Andonova supports young entrepreneurs as tutor and mentor and helps companies understand effective and innovative business models, suitable for environments with serious social and economic challenges. 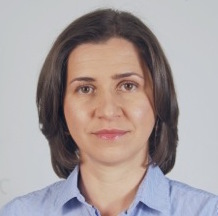 With her expertise, acquired from numerous travels and contact with leading figures in the business science and practice, Prof. Andonova actively participates as mentor of entrepreneurial initiatives in Bulgaria and actively supports student entrepreneurship while in Bulgaria. She is frequent guest and speaker at international conferences and academic programs. She has published articles in international journals and her reports are popular among the international academic community. Welcome by the 7 founders of GEM Bulgaria. In what shape is the Bulgarian entrepreneurship ecosystem? GEM Bulgaria presents the first ever national report of the Global Entrepreneurship Monitor – the foremost study on entrepreneurship in the world!